Raaga.com: Actor Anupam Kher appointed as United Nations ambassador! Actor Anupam Kher appointed as United Nations ambassador! No! The Indian government has not appointed versatile actor Anupam Kher as India’s ambassador in United Nations but it is the Senate of the State of Texas, who overwhelmed by the actor’s mindboggling performance in his play MERA MATLAB WOH NAHIN THA have awarded him an honorary citizenship of Texas state in the US after being conferred with a "Senate Proclamation". An elated Anupam Kher shared the great achievement on tweeter. 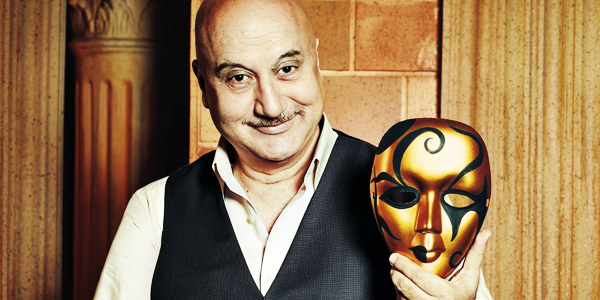 According to Kher, who is touring the U.S. and Canada performing his play MERA WOH MATLAB NAHIN THA, informed that he has been bestowed the rare honor after his play MERA MATLAB WOH NAHIN THA received an incredible response and all his back to back shows in 14 other US cities and in Canada drew packed houses. “Basically the play is a love story with a difference that is loaded with emotions and human values,” he enlightens.